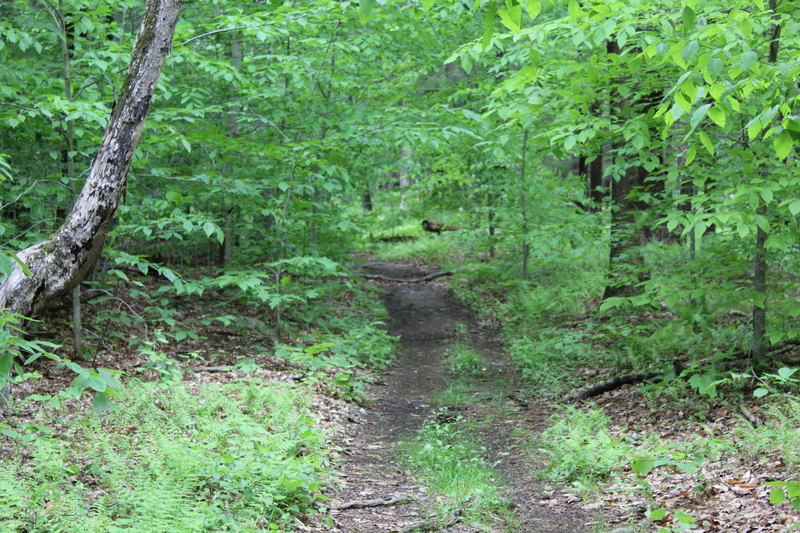 Today I wanted to head to the Leatherman’s Loop in Ward Pound Ridge Reservation. The story of the Leatherman is a fascinating one and I strongly encourage you to check out the link below. This excellent hike starts and ends at the same point where Monday’s hike began. The Red and the Green trail run together until you meet the Leatherman Loop (LL) off to the right. Take the LL trail as it moves uphill for a very short time. The trail levels out and then turns to the left. I decided to go clockwise and I headed downhill. Once again, the trail levels off and then makes a right turn. To get to Leatherman’s Cave, you will see a sign on a tree that points you in the right direction. The short climb to the cave is a short one but very steep. Once you have rested for a bit and taken photos, head back the way you came and right before you get back to the woods road, turn left to continue on the LL. Be prepared, this section of the hike up to the Overlook is very challenging. Once you get to the top, you get a real nice view of the Cross River Reservoir as well as the dam in the distance. A cool bench where you can just chill after a strenuous climb. If you look to the center right of the picture below, you can see the outline of the Cross River Dam. A close up of the Cross River Dam. After completing the LL, I decided to knock out the rest of the Green Trail. Most of it continued to be aligned with the Red Trail until it makes a sharp left turn to head back to the start of the hike. Without a doubt, another excellent hike in Ward Pound Ridge!!! I’ll be back in a couple of days. This entry was posted in Uncategorized and tagged cross river, cross river dam, dazed and confused, dazed and confused quotes, green trail, Hiking, hiking quotes, Hudson Valley Hiking, Inner Peace, leatherman's loop, peace, red trail, technology, the leatherman, tranquility, Walking, walking as meditation, ward pound ridge reservation on August 16, 2017 by The Zen Hiker.